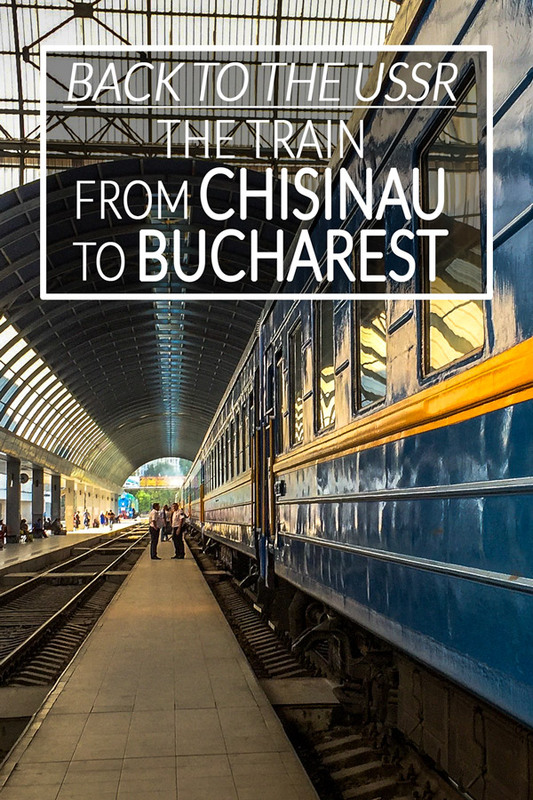 This post has everything you need to know about taking the train from Chisinau to Bucharest. 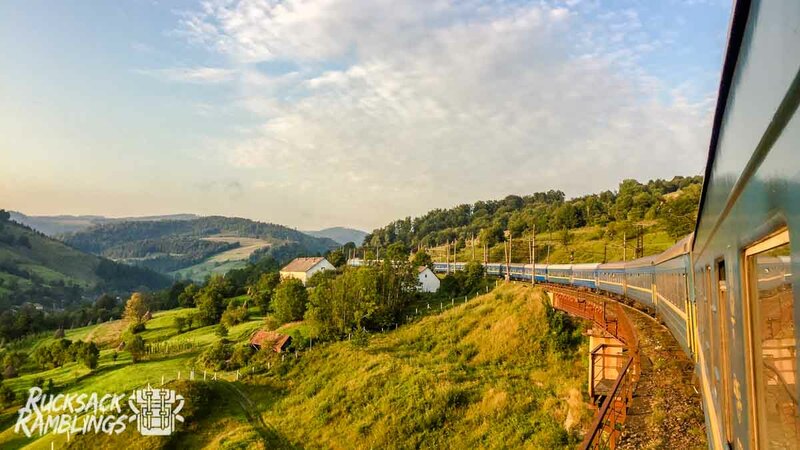 It covers what the train is like, how to buy the tickets, ticket prices and how to cross the border between Moldova to Romania. The information is from our personal experience in September 2016. 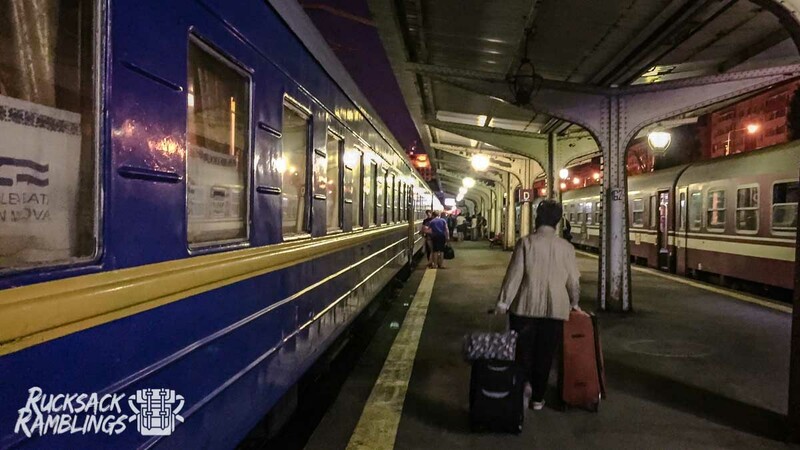 Getting from Chisinau to Bucharest is no easy feat. 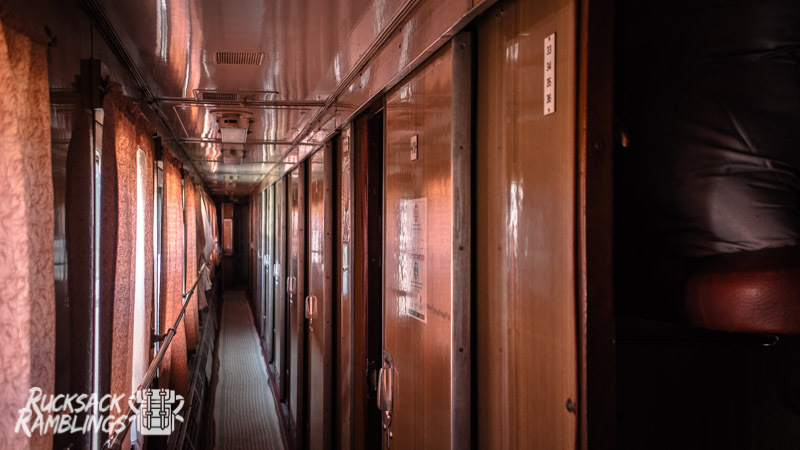 You’ll either be crammed into a bus for 10 hours or spend the night on a rolling Soviet museum of a train. Going for the more adventurous option, we jumped on the train. That turned out to be an excellent decision! 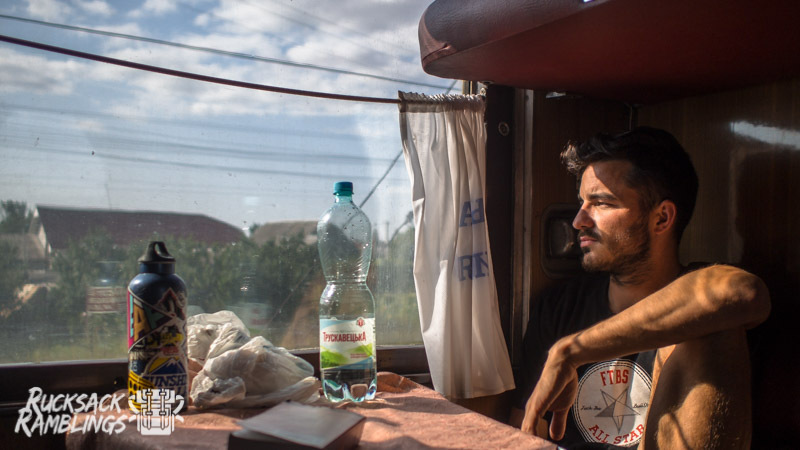 The train ride was one of the most interesting experiences we had during our 4 months of backpacking through Eastern Europe. Sitting back, watching the world slowly roll by while you finally get time to read that novel you’ve been carrying around. In the background, all you hear is the clunk of metal on metal as you glide over the rails through rolling hills. It all becomes somewhat hypnotic and lulls you into a sleepy haze in the afternoon sun. Sounds like a dream? Well, it’s not. This is what you get if you catch a ride on the rolling USSR museum that is the train from Chisinau to Bucharest. Once you settle in for the journey, you’ll notice all the little things. The faded curtains. A vase of plastic flowers on the table. The table-cloth that’s been stared at by thousands of people. The walls lined with linoleum. The stained rugs in the aisle. Oh, and of course the faint smell that only 30 years of sweat and smoke can leave behind. Or is that the toilet at the end of the hall? Who knows, but it all makes this journey so much more fun than being crammed into that normal overnight bus. 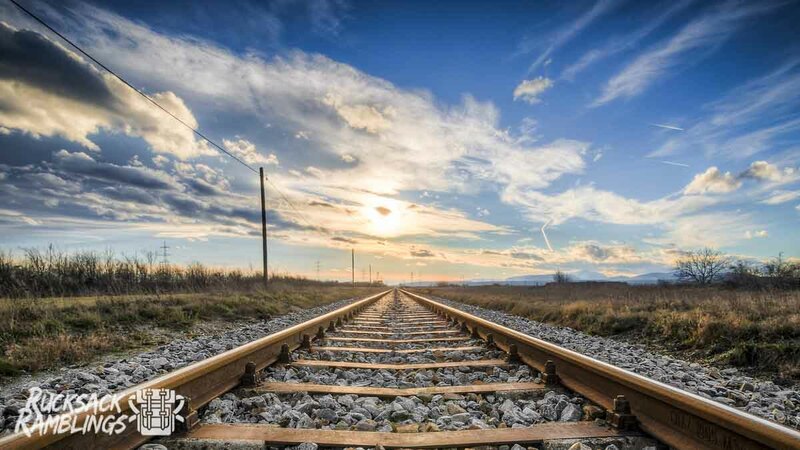 The train takes 13 hours and departs once daily from Chisinau at 4:45 PM, arriving in Bucharest at 06:05 AM the next day. This means it’s not a normal train, but a sleeper train with bunk beds! How Much Does The Train Cost? The second-class is where the adventure is at, though. 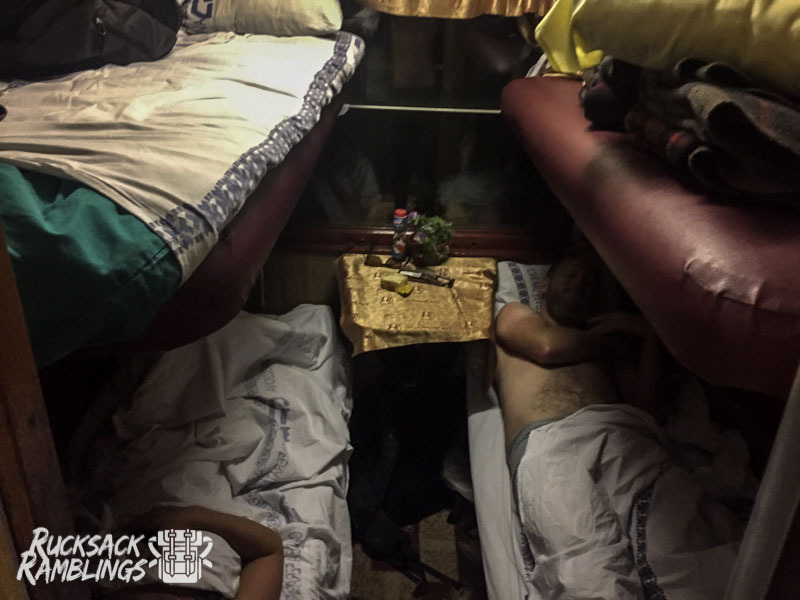 If you’re not afraid of sharing your cabin with some local babushkas with limited English, save the money and go for it. How Do You Buy Your Train Ticket? You can’t buy the tickets for the train online and you can’t buy them in advance either. 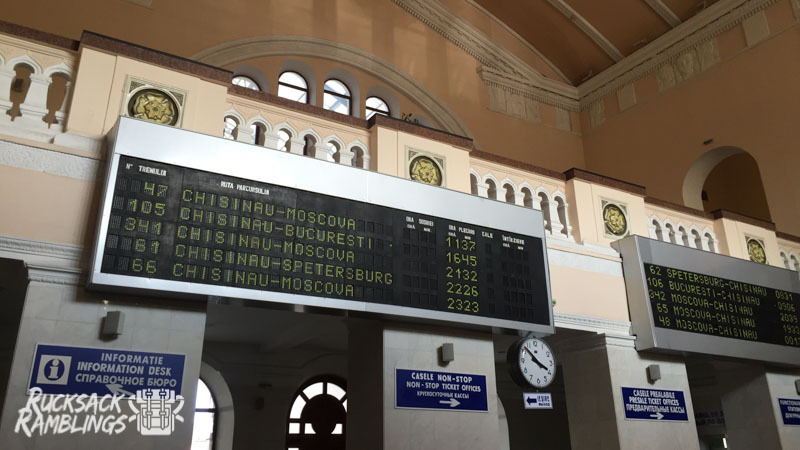 Tickets for the public only go on sale 1 hour before departure from the train station in Chisinau. You find the international tickets sales desk at the far right end of the hall. If you’d like to plan a little further ahead, you can book earlier with a travel agent in the city, but you’ll be charged an extra fee. Each passenger gets his own bunk bed which doubles as a seat during the day. Don’t worry, even though the train has been around for decades, the seats are nice and comfortable. There’s plenty of space to store your backpack and even an enclosed box under your seat for more valuable items. The only issue we had was the fact there was no AC and our window didn’t work. In other cabins they did, so it seems to be a matter of luck. Each bed comes with a set of fresh sheets, a pillow and a fluffy mattress cover. The steward will even make your bed for you if your mom didn’t teach you how to do that. Where Do You Catch The Train? 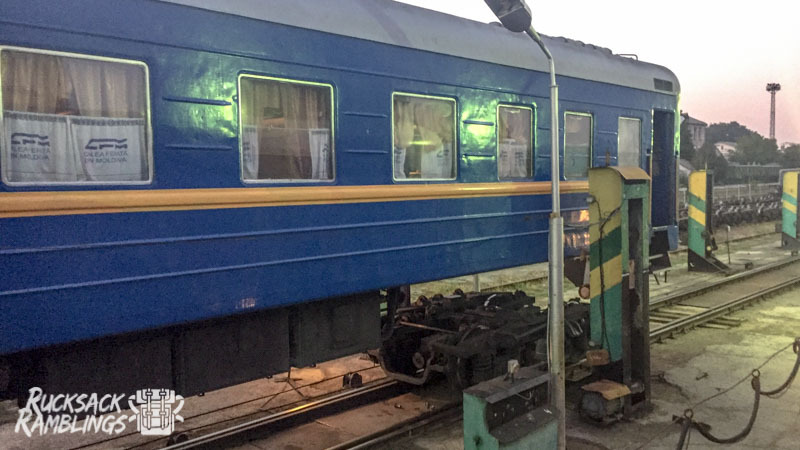 The Chisinau Railway Station (Gara Feroviara Chisinau in Moldovan) is an easy 30 minute walk from the city centre. At the roundabout near the station there is a big supermarket called Bonus where you can pick up supplies for the journey. What’s The Border Crossing Like? After 30 minutes, you’re off to Bucharest! If you’ve entered Moldova from Ukraine and don’t have an actual entry stamp into Moldova (only one into Transnistria), you might have trouble leaving the country. Although the government doesn’t need you to have an entry stamp, many border guards still ask for bribes, pretending it’s a problem. If you do get asked for a bribe (which we did), kindly refuse to pay and the guard will eventually give up. Did We Mention The Train Can Fly? While you’re busy dealing with border formalities, the train will actually be lifted 5 feet above the ground so its wheels can get changed. This is necessary because the USSR made its tracks a different size to the ones in Western Europe. This was pretty smart back in the good old Cold War days, since no one could use the Soviet tracks to transport weapons and military personnel. Nowadays, it’s just an inconvenience for the rail industry and an interesting spectacle for you while you wait for your passport. Where Does The Ride End? In the morning, the steward will knock on your door to warn you that the train will be arriving at Gara de Nord in Bucharest in 10 minutes. And just like that, your fun train adventure comes to an end. Jump out, order yourself a coffee and watch the morning hustle and bustle at the station. 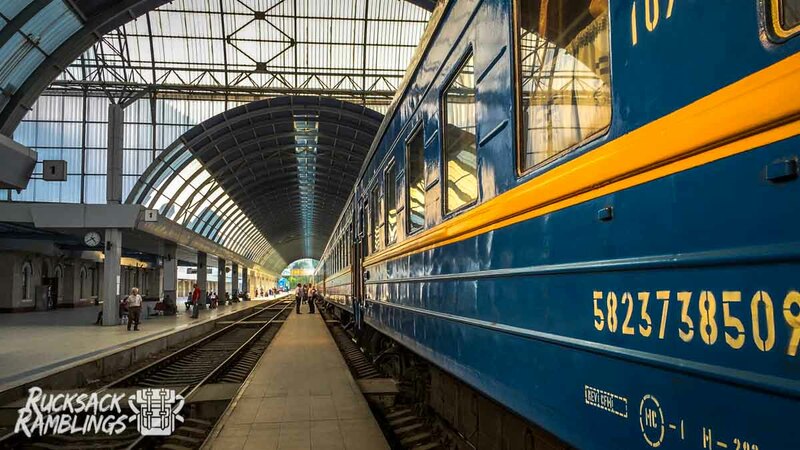 When you’re ready, get on the metro and start your next adventure in Bucharest! I’m going to go to Moldavia at the end of the month for a few days, and I’d like to know what you think is the most interesting and important things to do in these capitals (Chisinau, Bucarest). I really love your post, it’s clear, simple and beautiful, so I though you might like to share other experiences in these country, which will be great for me and my group (6 people).